Automatic Vehicle Identification Using RFID | deister electronic UK Ltd.
deister’s fast and reliable long-range identification solution, known as AVI, securely identifies vehicles and drivers in any weather condition. Low ongoing costs and low maintenance requirements make AVI an excellent alternative to a traditional ANPR system. Ideal for controlling vehicle access through gates, barriers or bollards; it can even be used to monitor rail traffic! Users or vehicles are identified using a transponder such as our self-adhesive tamper-proof windscreen stickers. Whilst a fully-functional stand-alone solution, if you have existing control systems we can integrate this with the AVI software to create a central point of management. 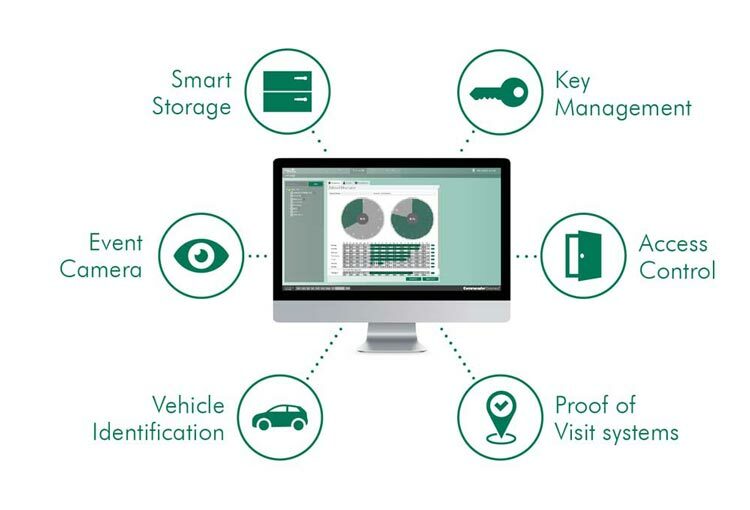 Our AVI solution provides you with reliable long-range identification which can help secure your businesses premises! With a single card, you could identify yourself at both your vehicle and building access control systems. It is possible to integrate both technologies into the same card and achieve maximum range. A specially developed tamper proof sticker in combination with deister‘s “smart frame” ensures data security as well as protection against manipulation. Users receive distinctive visual and audible feedback when a transponder is read using it’s large LEDs and unambiguous signal tones. Ensuring your tamper-proof window stickers are placed in a position in which they will work efficiently is simple with deister’s POC device. 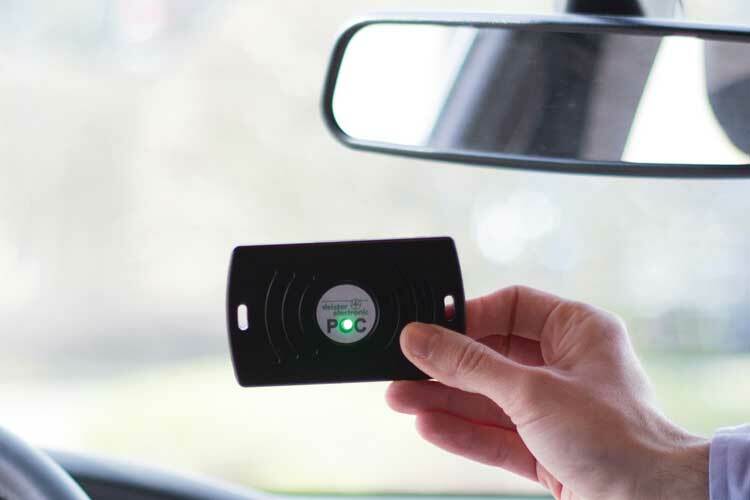 The POC contains a green LED which will illuminate to indicate the fields signal strength in that position, so you can then place your sticker accordingly. All products are made in Germany. Recognised quality and reliability, developed, produced and tested to the highest standards. If you’re looking for a secure way to identify your users within a long-range system then our windshield transponders are ideal. Our self-adhesive windscreen transponder features a tamper-proof function that means when someone tries to remove the sticker it will become destroyed meaning access cannot be shared or compromised by a transponder. Using our TSU 200 reader, up to a 7-metre read range is possible and a consistent range can be maintained with different vehicle types. This transponder is also equipped with a function to adapt the range. This function makes it possible to reduce the identification range by either 66% or 33% ensuring it is possible to identify different types of vehicles at the same distance to the reader. When installing a UHF long-range identification system, the challenge is always to place the readers and transponders in the best possible position to ensure all vehicles are reliably detected. The POC (patent pending) represents an optimum solution to the challenge. Our POC behaves precisely the same as a transponder and is available for both passive and active technologies. The integrated LEDs display the available level of communication at every position in the field between the reader and transponder. With our POC, finding the best possible position for a transponder is quick and simple. 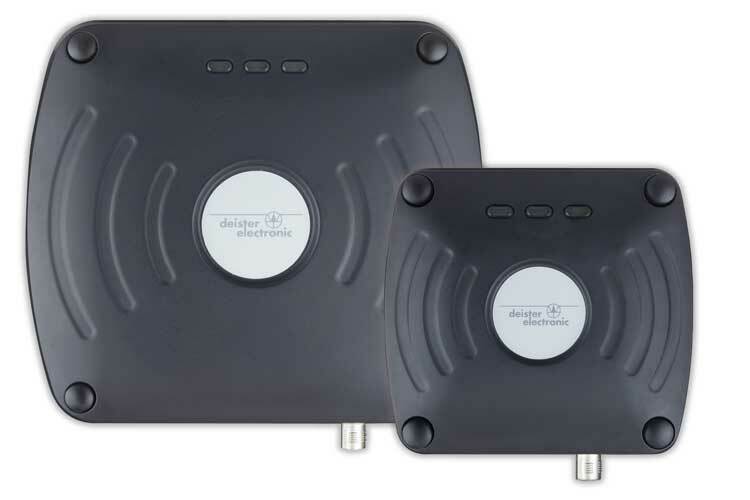 These deister UHF readers have an extremely robust die-cast aluminum housing providing a compact design with integrated antenna. The TSU200 boasts an upper range of 7 metres, and the TSU100 a range of 4 metres. Our range of passive transponders have been specifically developed to allow the TSU readers to achieve the best possible range on glass or metal. The special layout (patent pending) of the antenna integrated in the ISO card means it can be carried either way round as well as close to the body (unlike most UHF transponders) without impairing the range. The TAL 700 generates an adjustable identification field that will penetrate most RF shielding materials. This active system is particularly suitable for applications in which it is necessary to identify vehicles at an unfavorable angle to the reader or the windscreens are covered with a special film to protect against the sun or for reasons of passenger privacy. With a range of up to 7 Metres the TAL 700 is suitable for various applications such as parking space management and vehicle access control at car park barriers. 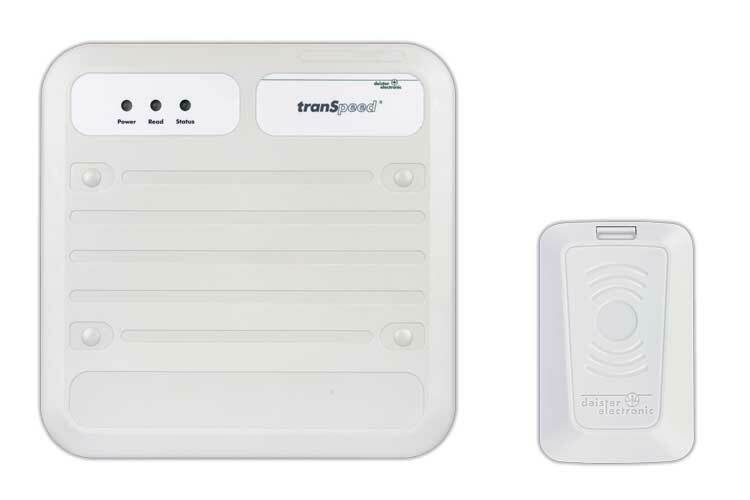 The active transponder TPA 8014 has an ISO card format and a battery life of up to two years, with a commonly available battery that is user replacable to reduce costs. 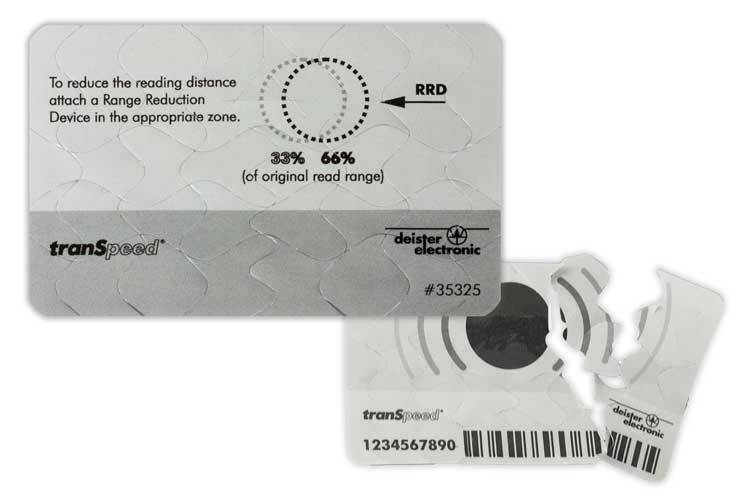 The transponders can also be equipped with an additional near field credential technology. That makes it possible to use the TPA 8014 in combined vehicle and PACS applications. The vehicle identification system is rounded off by controllers such as the IDC 2. The control unit is top hat rail compatible and provides encrypted interfaces for readers and dry contact relays for vehicle access and exit barriers as well as light signal control systems. Configuring authorisation levels is made easy with the deister management software, which is connected to the IDC 2 via an IP interface. 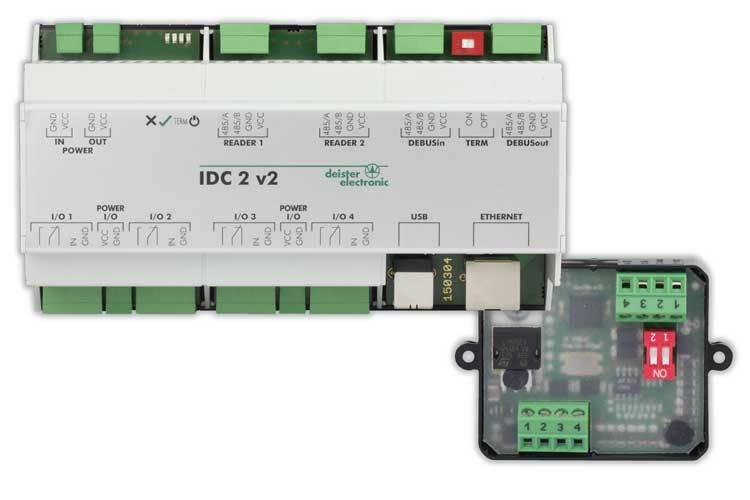 Interface converters are able to convert data received from a reader to a different format or protocol as well as to integrate components into an existing system. The deBUS protocol is used to encrypt communication on the input side. wiegand, data/clock, magstripe, RS232 and RS485 interfaces are supported on the output side by several customer specific protocols. Our simple and easy to use software platform Commander allows for the administration and management of your long-range identification system with the capacity to manage other deister solutions and integrate with third-party systems. The software works the same whether on a physical server or virtual environment and allows you to operate your AVI solution as a stand-alone system scale it into a corporate set-up managing multiple systems. Commander creates a flexible working solution for your AVI system with its easy to use interface, notification capabilities and customisable user-defined reports. Transponders can be fitted to freight or rail trucks and locomotives to help control and manage their locations. Automate access and exit to make the best use of available capacity. Optimise management of your parking and reduce administration. Effective and comprehensive management of vehicle fleets. Have control of vehicles on your site and always know which vehicle is on the on site and which vehicle has left.